"Hey Howard, Leave our annual leave alone"
Workers in St Mungos have been faced with a reduction in annual leave, and Unite is supporting their fight back. They are angry that, once again, senior management make the life of their hard pressed front line staff more difficult. Unrealistic workloads and stress are an increasing feature of our sector. Unfortunately management in our sector is too often to be found making things worse with attacks on terms and conditions of front line workers including annual leave. Notably this trend does not apply to senior executives! 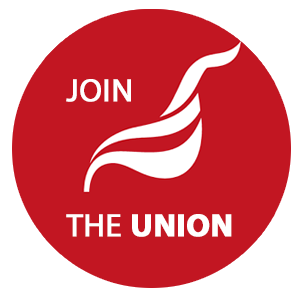 Unite Reps intervened at the staff conference in London on the 31st and 1st November, handing out leaflets, badges and a letter of protest for every delegate to sign about the way that the recording of annual leave has been altered. Each day of staff contractual annual leave has been converted into a block of 7.5 hours. This means that any worker who regularly works over 7.5 hours loses annual leave every time they book holiday. This issue has been ongoing for over a year now. To be clear, Unite is not opposed to negotiating. But the way that this change has been imposed, without any consultation at all, is not acceptable. Early on in the process, Unite raised a collective grievance and an appeal about the unfairness of this approach, stating that we believed that this was a breach of contract. Neither was upheld. 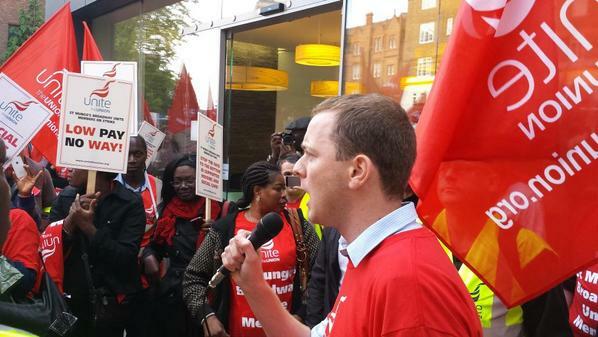 Next, Unite attempted to negotiate via ACAS (The Advisory, Conciliation and Arbitration Service). ACAS is a Crown non-departmental public body. It is an independent and impartial organisation that does not side with a particular party, but rather will help the parties to reach suitable resolutions in a dispute. Senior management did not participate meaningfully in this process of discussion but rather sent back questions via the service asking Unite what legal recourse we intended to take. We didn’t know at the time, but Unite would not be able to take the case to Industrial Tribunal due to the fact that no staff had ‘suffered any material detriment’ - no actual money had been deducted from the wages of any staff. However, we now realise that senior management had taken legal advice and they knew that was the case at the time. They would not enter into discussion via ACAS as they thought that there was nothing that Unite could do if they didn’t. A drawn out process of taking legal advice from Unites own legal team then began. But we are now in a position where we have a clear indication that Unite can take this case to Civil Court despite the costs of mounting a case being high. Unite does not normally pursue cases in Civil Court precisely because of that reason. However, the legal advice that we have received indicates that we have a very good chance of winning the case and therefore the union intends to claim costs from St Mungo’s.